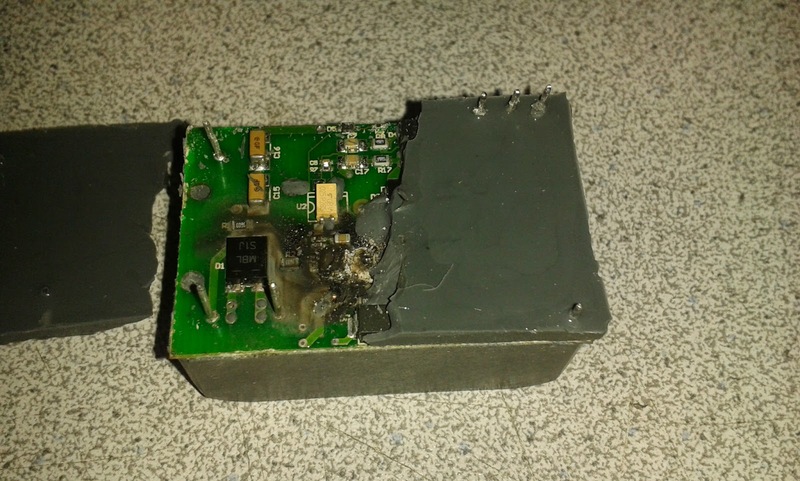 MAY 21, 2014 update: Looks like we;ve successfully repaired the charger! 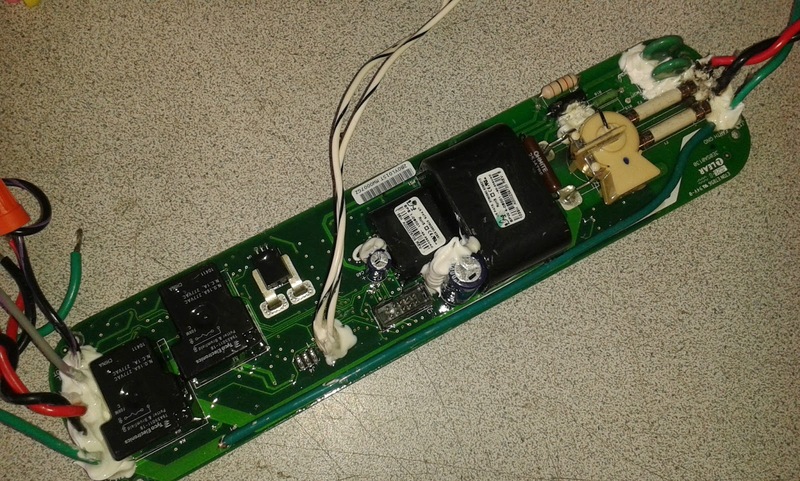 Will probably be offering a repair service for those boards through our main site...if you can't find it there please contact me through http://www.coppelltvrepair.com . 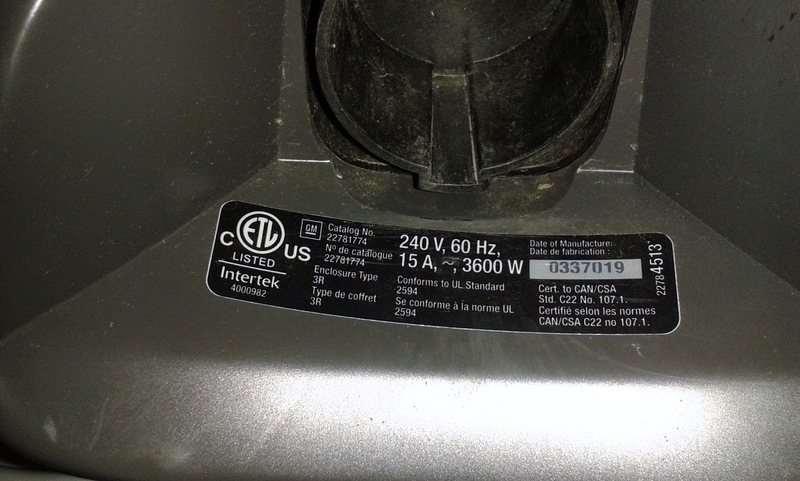 OK, today's topic: dissecting and repairing Voltec EVSE charger SPX EL-50580 due to failure to show any signs of life upon connecting to 240V power. The accent in this article would be on dissecting. If the page title has mislead you I apologize about that. Google doesn't index long titles and repairing is the ultimate goal, so I figured I'd put it there instead. I bravely venture into affairs such as this one, marriage and milk chocolate from unknown sources or with expired sanity period, fully aware that my body and soul may not be fully prepared for the journey. I may say or conclude things that a highly rated spiritual minds or better trained engineers may find impolite, improper or flat out testing outdated, maybe even dangerous. I encourage others to find and listen to their inner voice and follow its advice, but refuse to be held responsible for the way they learn. As such, anything you find here and use or misuse shall be a direct result of your own guiding spirit, may a fast acting fuse be with it! OK, legal stuff behind our back, let's get our feet wet! A friend of mine bought a crashed Ford hybrid and since it came without the charger he also bought a broken charger, which he brought to me believing that I can whisper a few quiet words to it and it shall start working. Because that's how it usually works. The charger my friend bought was flat out dead, no green lights, no red lights, nothing at all. 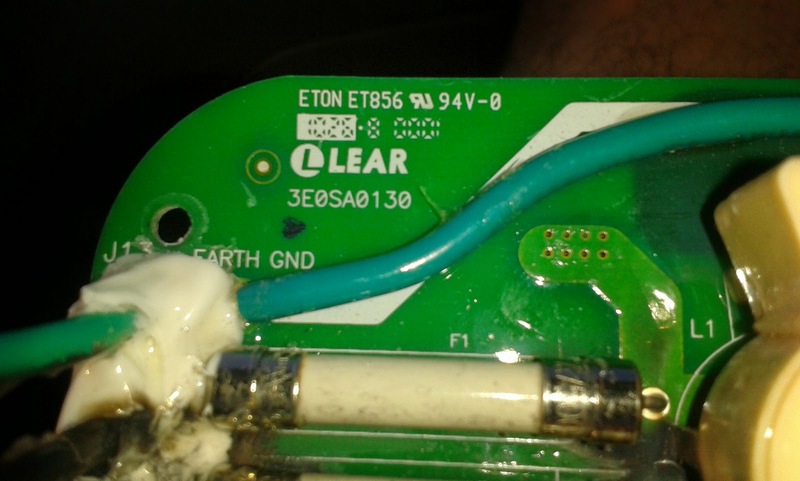 From what I later found out it must have been a little pop sound and a little smell when it failed. I have never seen an electric/hybrid car charger before in my life and I had to educate myself a bit. I'm not quite done yet, but I advise to get educated a bit too. A quick Google search for "J-1772" is an excellent start and will allow you to find articles to your knowledge level. For moderately advanced minds I found this site to be a fair quick jump starter on what I was dealing with, even though it says nothing about this Chevy charger in particular. OK, OK - onto dissecting. 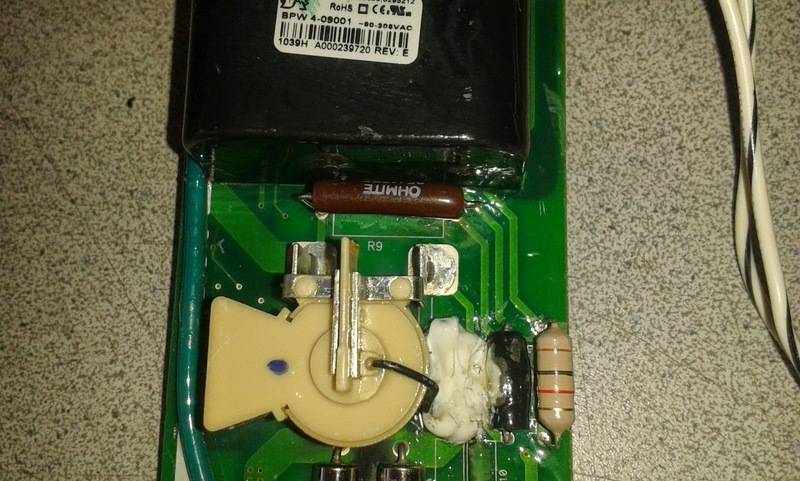 The top candidates for checking a dead power board of any type are the fuses on the input and despite their discoloration on the pictures and apparently melted casing on one of them they both tested good. I guess I should first say that the whole board - or most of it anyway - is covered in protective layer, which makes measuring components harder as the layer needs to be scratched off. I guess it was covered for a good reason (standards and all), so be careful and make sure to cover it back once done. I know exactly the thing you need for the purpose, it's on my desk, but for the life of me I can't remember the English word for it at the moment. I guess I need to eat more chocolate. The original resistor must have once been poison green, but when I first looked at it the color was more of a dislodging gray was open. 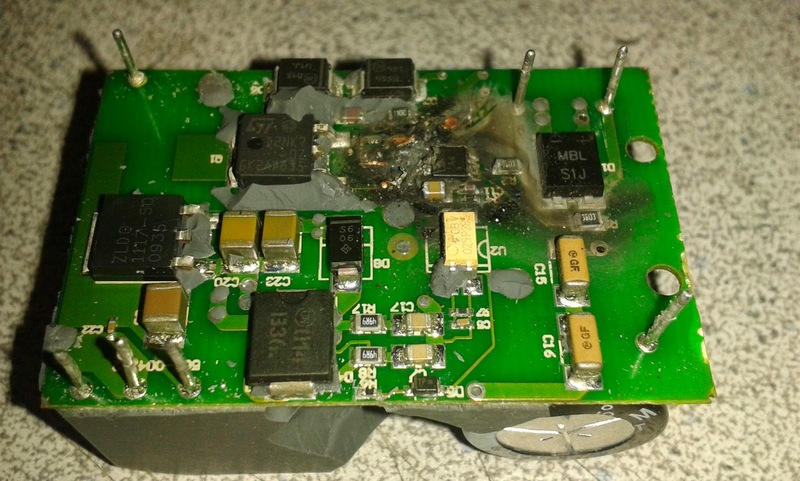 Burned power resistors on the input of a TV power supply is not very uncommon so I figured it is possible that the power resistor has simply burned as a result of natural underrating and wearing over time. I did not have an exact match at the time so I used two 22 ohm / 5 watt resistors in series (lower value, but what the heck, I was impatient plus it was half the power on each one, which was great). 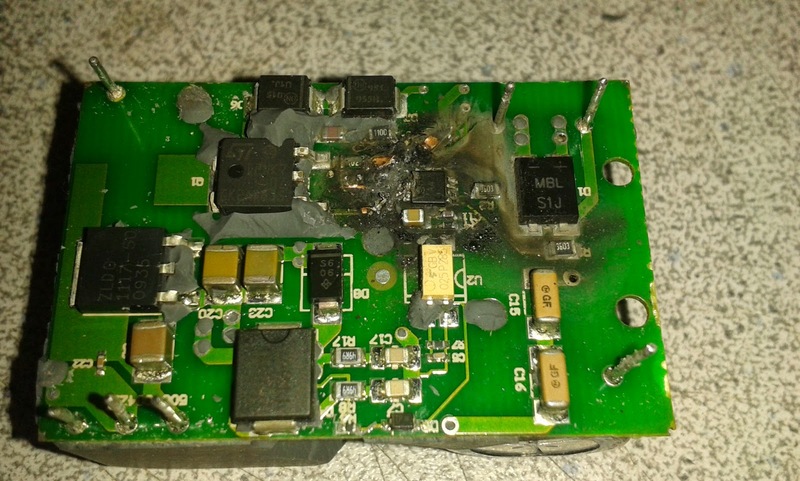 The resistors burned beautifully as soon as we connected the board to 240V and I knew there was something more there than an aging resistor. To save some time here I'll speed things up a bit. 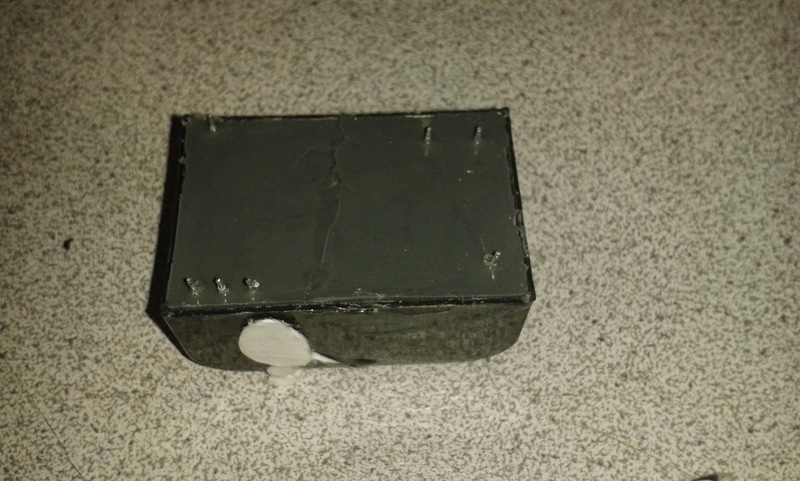 The resistor R9 is in series with one of the two live / line wires and leads to the first of the two large black boxes in the middle of the board. The other live leads there as well, which made this black box the perfect candidate for something that would have been bad. I did a little research on the components and found out them to be industrial level transformers with very wide input range and one or two outputs. The models used were BPW-4-09-001 and BPS-1-09001 and both were missing in the specification catalog of the company that made them. Which is not unusual in the TV repair business, it's more like the norm and even more the reason why we have to hack things (when disconnected from power and properly discharged, notarized will presenting the spouse an opportunity to work for money etc. necessities). The two modules are connected in parallel to the 240V supplied by the two lines through R9 and with my Fluke I could see there was resistance - high, but the same in both directions, which is unusual for any type of switching power supply (which what those undoubtedly were). 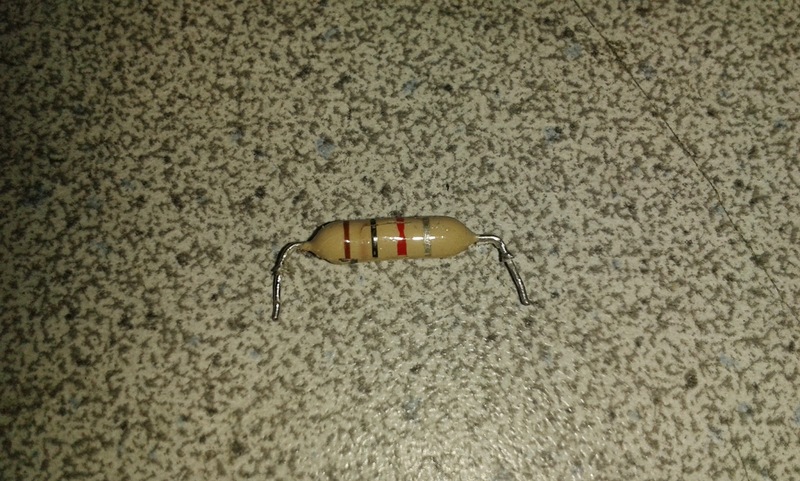 The first thing I did after taking it out and finding (not surprisingly) that it's fully enclosed and sealed, was to measure the resistance between the pulled out component and the one on the board. The board was infinite in both directions and the component out (BPW-4-09-001) was still having that strange bi-directional high resistance. Well, the pictures should be pretty self-explaining as to why I don't think this particular modle (BPW-4-09-001) is going to be repairable. - Even if I knew which track went where the PCB on that area is so badly burned it may have (sure has) changed properties and can't be trusted as an isolator anymore.You run 240V somewhere nearby and before you know it there are sparks jumping up and down through the board and other components and a sound like a diesel truck trying to outrun an arrow train before exploding. 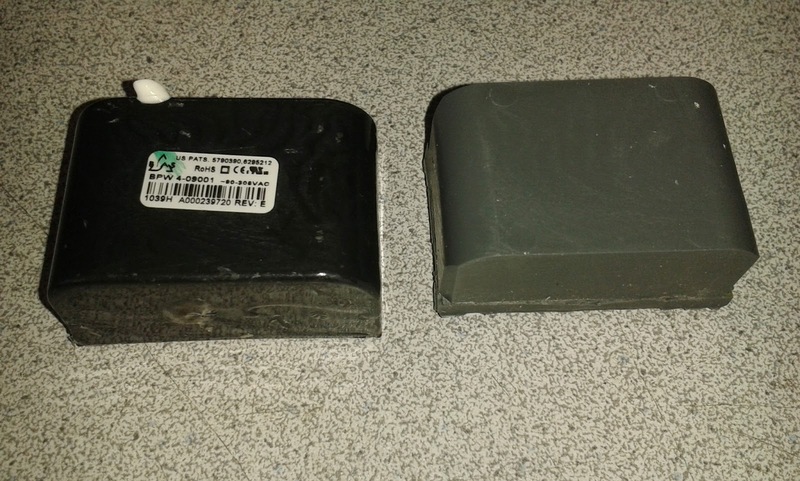 1) Obtaining a replacement module from the manufacturer or other source. Haven't researched that yet , mostly because of a long experience being in the same situation in TV repairs. I'd consider myself very lucky if I get a response - rejecting as it would likely be - back from the manufacturer. 99% of the time they just do not answer. I must say to a degree I understand them - they can't possibly make the money they're looking for by selling parts individually, let alone the risks and headaches this brings to the table. This is the direction I've taken. First results were that the station became alive and started blinking green. But it is still uncertain if it is charging. It was not. Success! 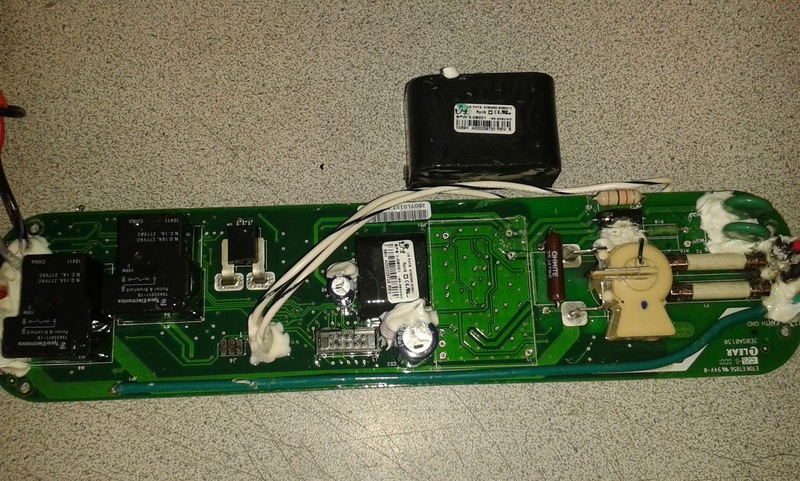 Ford C-MAX today charged successfully with the repaired/hacked charger shown above! This is also an alternative worth considering. Prices of chargers will definitely go down from where they are today. 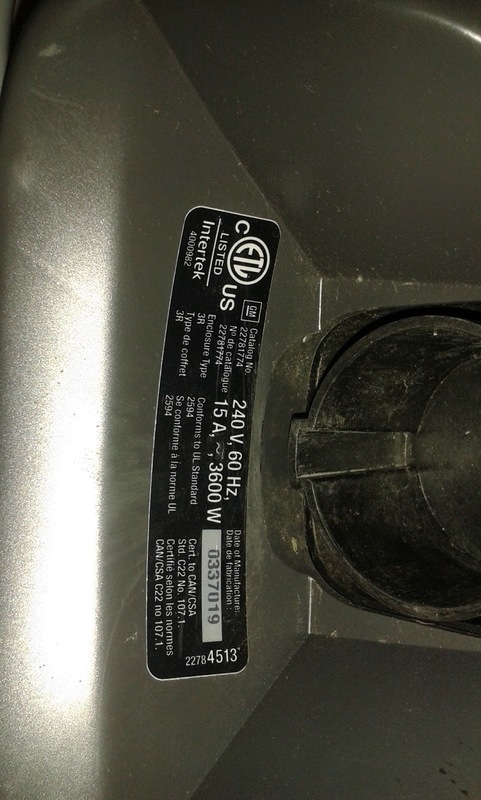 I am looking into obtaining or creating some at a price that makes sense, but my gut feeling is that their price drop will be so significant that the best course of action if you have a broken charger is to try to repair it for $50 to $100 rather than spend $400 only to see the cost of a new one be that same $50 to $100 in a year.